Happy October! 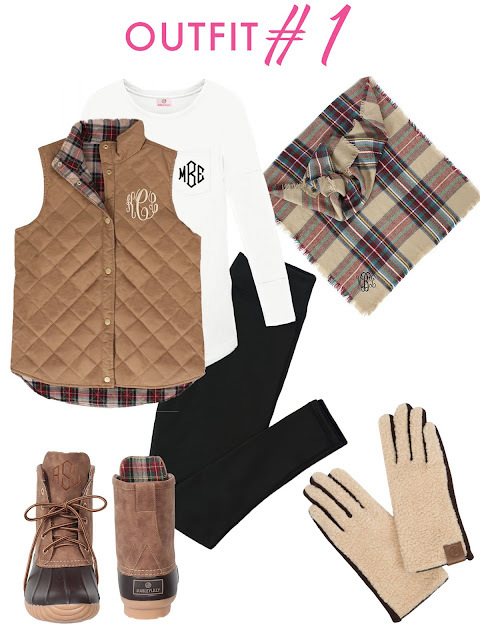 One of our favorite seasons around here at Marleylilly has to be fall! And with fall comes football, colorful leaves, cooler weather, apple picking and even a trip to the pumpkin patch! 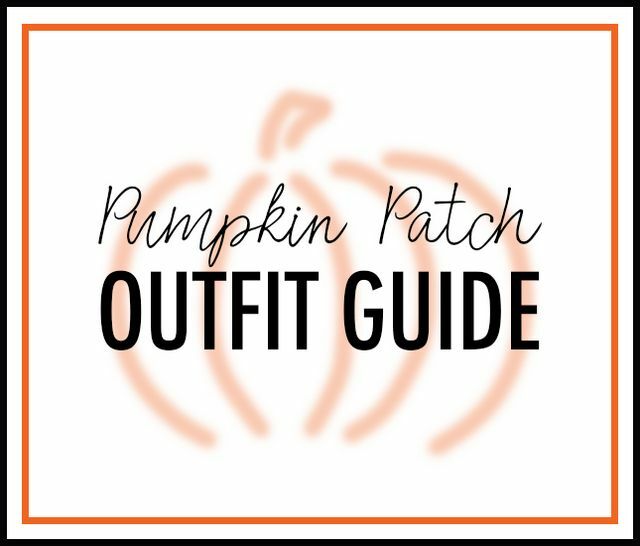 Not only can we provide you with inspiration for fall trends, but more specifically we are here to serve as an inspiration for a fun outing to the pumpkin patch! While putting these outfits together, we thought of every girl who prefers comfort, style, edge or any combination of the three, so we hope you find inspiration and enjoy! Our Reversible Vest is a new arrival this season and it has easily been one of our favorites this past month! As cold weather approaches, this outfit will surely have you prepared to take on the pumpkin patch. Layering is key, and you can do just that with this simple Tunic Shirt, vest and Blanket Scarf Poncho! Because there are countless ways you can tie a blanket scarf, this allows you a lot of freedom with this outfit! Finish the look off with Sherpa Gloves and a classic pair of Duck Boots to ensure a classic and comfortable look! This look is for all my fashionistas out there! Whether you're going to the pumpkin patch or to a Girl's Night Out, this outfit will take your wardrobe to the next level. Our classic Herringbone Vest allows this look to become an outdoor outfit while the black continuity throughout the look sophisticates the outfit and takes it to the next level. Finish the look with a crossbody bag and you're ready to take on the pumpkin patch! Our Monogrammed Terry Pullover screams fall and we are loving every minute of it! If you're looking for an athleisure outfit this season, look no further! Whether you're running through a corn maze or posing for your next Instagram picture, you will be rocking a comfortable yet trendy outfit this season! 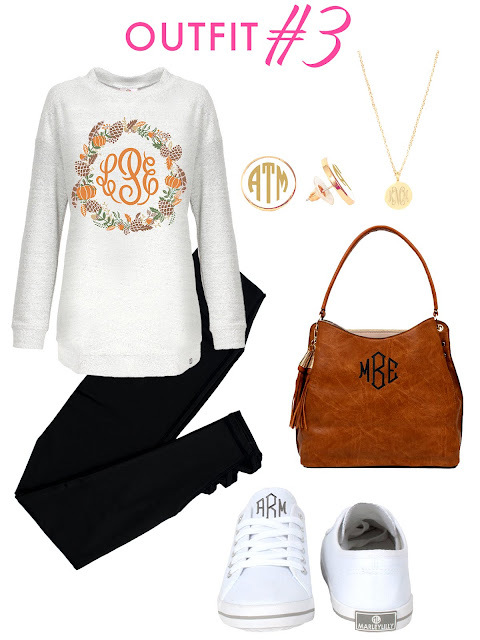 Our everyday Monogrammed Taylor Necklace is perfect for this comfy outfit with its simple and timeless look. Our amazing Colorblock Tunic Shirt launched this past month and everyone has already been FALL-ing in love with it! Because of its colorblock and striped pattern, it provides for an edgier look than a basic tunic, but because of its neutrals, it can easily become one of your fall go-tos. You can dress this look up with a pair of booties, and accessorize as much or as little depending on how fancy you're feeling!